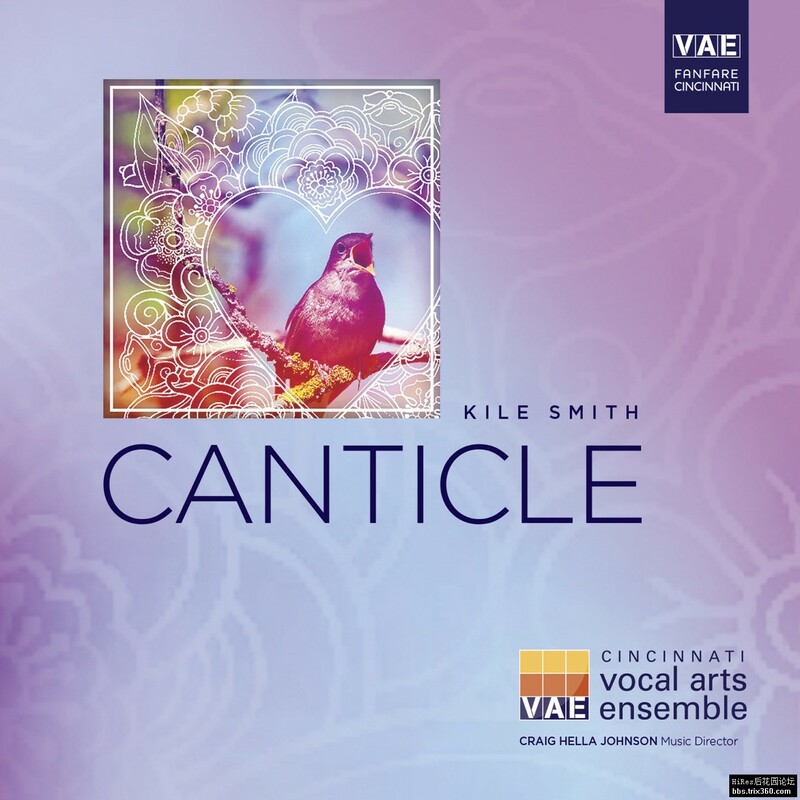 Canticle is the inaugural release for the Cincinnati Vocal Arts Ensemble (VAE) on the Cincinnati Symphony Orchestra’s Fanfare Cincinnati label. 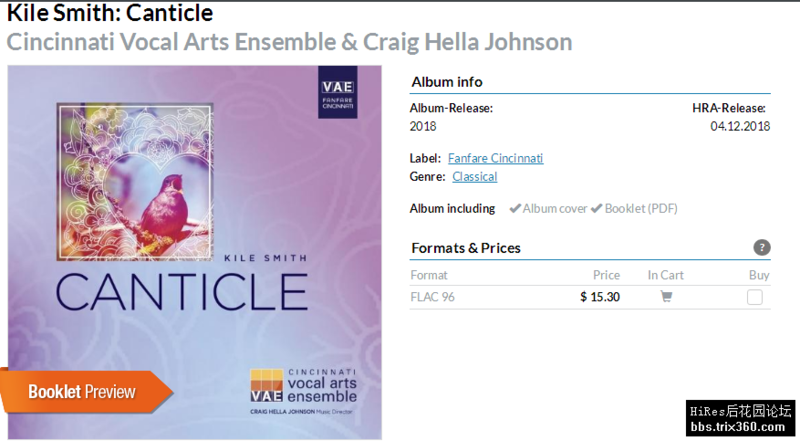 VAE, under the direction of Craig Hella Johnson, is a premier professional vocal ensemble dedicated to presenting passionate and innovative performances of choral music that raise and nurture the public’s appreciation of the life-enriching qualities of the choral arts. This exciting album introduces two recent works by celebrated composer Kile Smith. Kile Smith’s Canticle is a musical setting of one of the world’s great mystical texts by St. John of the Cross. Smith’s transcendent music, noted for the “ease and fluidity of its musical lines, its graceful counterpoint, its shimmering spirituality,” has garnered praise from audiences and critics around the globe. The music comes alive on this release. 02. Canticle, Pt. 1 "The Search for the Beloved": No. 2, The Bride. Where Have You Hidden Yourself? 05. Canticle, Pt. 1 "The Search for the Beloved": No. 5, The Bride. Alas! Who Can Heal Me? 06. Canticle, Pt. 1 "The Search for the Beloved": No. 6, O Crystal Spring! 08. Canticle, Pt. 2 "Preparations for a Perfect Union": No. 8, The Bride. Turn Them Away, O My Beloved! 09. Canticle, Pt. 2 "Preparations for a Perfect Union": No. 9, The Bridegroom. Return, My Dove!